Push Notifications are a great way to communicate instantly to your user base! You can send them out to all of your app users, send them out to notification groups that people subscribe to, or send out a notification to a custom segment of people. 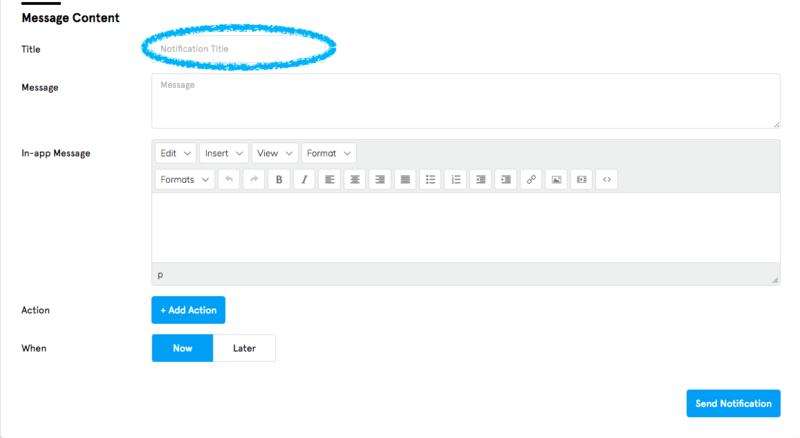 And with our Rich Message and Action Item system, you can send out a wider variety of notifications than before! In this article we’ll go over everything you need to know about the Standard Push Notifications as well as Automatic Push Notifications. Note: In order for push notifications to work, your app will need to be on a paid plan and live in the app stores. What are some use cases of Standard Push Notifications? If you have an eCommerce app, you can send out a notification to everyone letting them know of new items for sale in your app. If you have a school app, you can set up notification groups for each grade and send out grade-specific notifications to each group. If you’re building an app for your church, you can use push notifications to send out a link to that week’s sermon or daily scriptures. What are some use cases of Automatic Push Notifications? If you have an RSS feed for your school’s website, you can set up notifications to send out announcements automatically. If you have a news-based app, you can use automatic notifications to send out a notification when your RSS news feed has a new entry. If you’ve included a blog with an RSS feed in your app, you can use automatic notifications to send out a notification letting people know that there’s a new blog post. 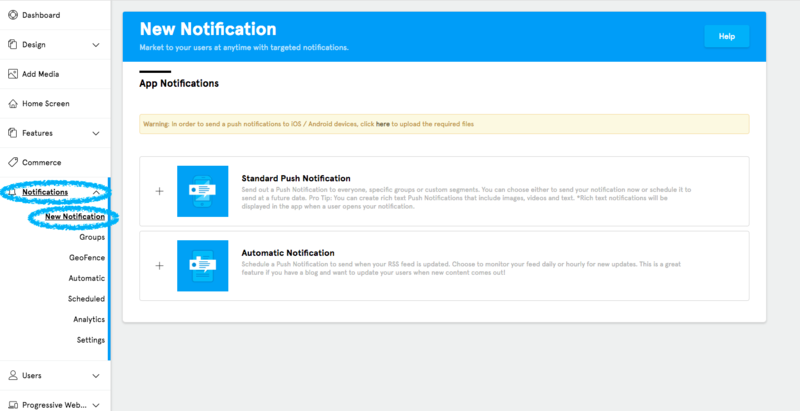 Now that you have some examples of what you can do with our Standard and Automatic Notifications, let’s go over how to access them and how to set them up. What are the Standard Push Notifications primary functions and what are the steps to accomplish them? Now that you know a little bit about push notifications, let’s go over the Standard Push Notification Page in more detail section by section. The first step in setting up a notification is to select who you want to send it to in the Audience section. This option allows you to send the notification to any of the Notification Groups that you’ve set up for your app. If you would like to learn how to set up Notification Groups you can do so here. 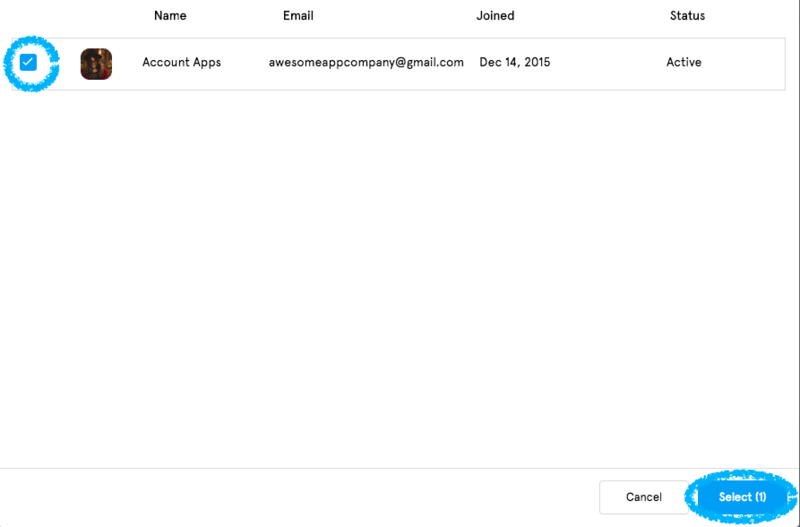 When you select Groups, you’ll see a drop-down menu with all of the groups that you’ve created for the app. Simply select the group that you’d like to send the notification to from this menu. 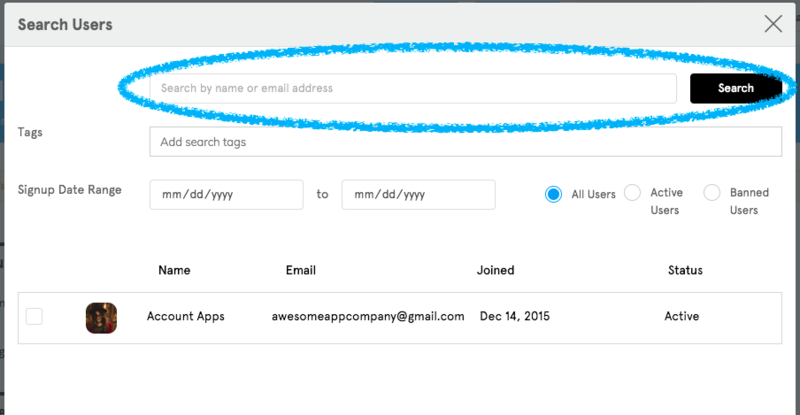 This option allows you to set up a custom segment of users for that notification to be sent to. 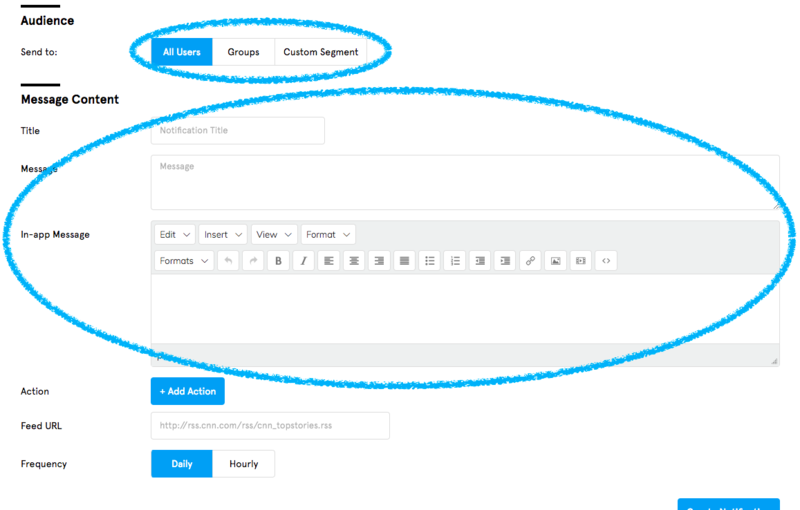 Note: if you’re planning on sending out multiple notifications to a segment of users, you will need to set up that segment each time for each notification. First you’ll want to click on Custom Segment then the “Add Segment” button which will bring up a list of all the users in your app. From this User List, you can see all of the users who have registered for profiles in your app. You can search for users using a couple of different options. You can search for a user by name, email, user tags assigned to their profile, as well as their sign-up date. You can also filter out all banned users by selecting “Active Users”. Once you’ve found the user(s) that you want to send that notification out to, click on the check box next to their user information and click “Select”. Note: If you need to change the segment before you send out the notification, click on the three dots next to the Segment list. This will remove all of the users you previously selected, so you’ll need to re-select them again along with the other users you want to add to that segment. Now that you know how to select who you want to send the notification to, let’s go over how you setup the notification message itself which you do in the Message Content section. This section is where you begin to craft your awesome notification message! Let’s go through the different parts of the Message Content section. The Title section is where you give your notifications a title. Note: The title has a character limit of 75 characters. The Message section is where you can set up the message that displays on user’s lock screens when they receive the notification. Note: The message section has a character limit of 150 characters. The In-App Message is what allows you to really take your notifications to the next level! Since this is a Text WYSIWYG editor, you can add as much text, videos, images, and links that you’d like into the message. If you would like to learn more about our WYSIWYG editors, you can do so here. 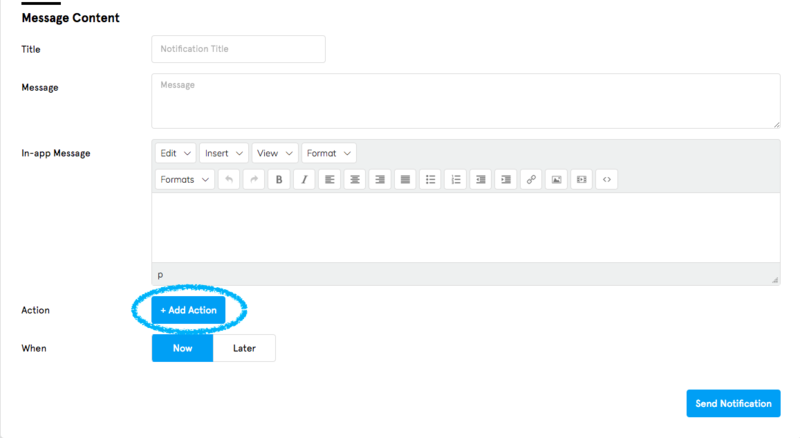 The Action section allows you to add an Action Item such as a link to Web Content or a Plugin within your app. If you would like to learn more about Action Items you can do so here. If you would like to add an Action Item to your notification, simply click on the + Add Action button. This will bring up the Action Item prompt which will allow you to set up your Action Item. In the When section you can choose to either send out your notification immediately or schedule it to go out at a later time. The notification is by default set to “Now” which will send the notification out immediately. If you would like to send the notification out at a later time, click on “Later”. Then select when you want the notification to go out by adjusting the date and time. Once you have set up your notification the way you like, simply click “Send Notification” to send your notification our immediately, or add it to the list of scheduled notifications. Now that you know how to set up a Standard Notification, let’s go over what Automatic Push Notifications are and how to set the up. Note: If you would like to use Automatic Push Notifications, they are available on our Professional level plan and above. What are the Automatic Push Notifications primary functions and what are the steps to accomplish them? Automatic Push Notifications allow you to sync notifications up with an RSS feed so that whenever a new RSS feed post appears, a notification will be sent out either daily or hourly depending on how you set them up. Let’s go over how to set up an Automatic push notification. Note: In order for Automatic Push Notifications to work, you will need a valid and working RSS feed that’s tied to your website, YouTube channel, or blog. 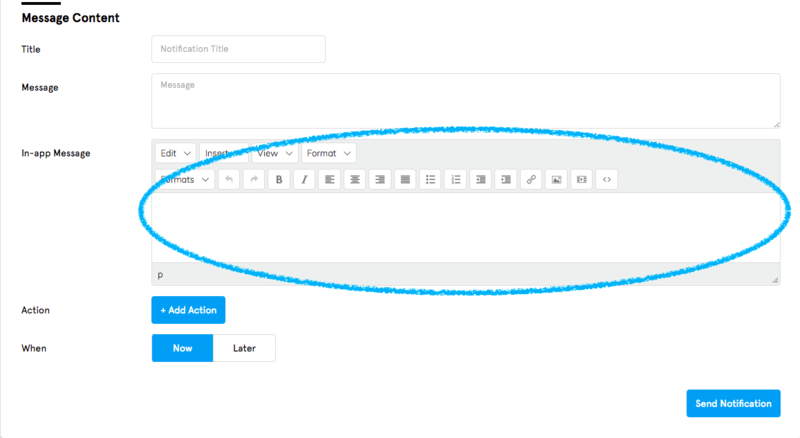 Just like Standard Push Notifications, the first step in setting up an Automatic Push Notification is to select who you want to send the notifications to in the Audience section, and what you want it to say in the Message Content section. Note: This message will be what people receive every time a new notification that’s tied to the RSS feed is sent, so we recommend you keep the message simple. 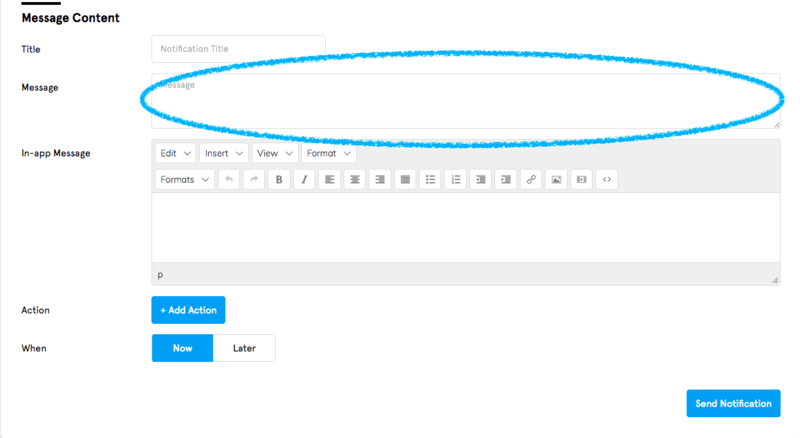 Once you’ve set up the message that will be sent out, you’ll need to sync our system with your RSS feed by grabbing its URL and entering it into the Feed URL section. You will also need to set up how often the notification is sent out by selecting either Daily or Hourly. Our system constantly checks the RSS feed that you entered into the Feed URL section and will send out a notification either Daily or Hourly whenever there’s a new RSS feed entry. It will only send out a notification if there’s a new entry in the feed. Now that you’ve setup the notification and entered in your RSS feed, all you need to do to finalize the notification is to click the Create Notification button. Setting up groups helps ensure that your users are getting notifications directed more for them, rather than ones that do not apply to them. If you would like to learn more about how to set up Notification Groups, you can do so here. Nobody wants to be bombarded with notifications on their phone. Quality over quantity is great to remember when you’re sending out notifications. Make sure your notifications are ones that people want to see. If you would like to learn more about how to create engaging notifications, you can do so here.